LEESBURG, Fla. (February 9, 2017) – Lake-Sumter State College Softball was featured on espnW’s Top 10 Plays of the Week for a walk-off grand slam by Brianna Bennett in last Friday’s game. 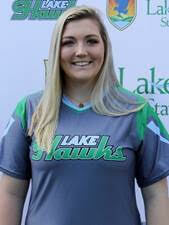 Thanks to Bennett, LSSC Softball won 7-6 on Friday at home against Polk State College. Bennett is a Jacksonville native studying criminal justice. The Lady Lakehawks play at home tomorrow, Feb. 10, against Palm Beach State and away at Pasco-Hernando State College on Saturday. espnW connects young women with the sports they love and follow. It is ESPN’s first dedicated content and digital business initiative designed to serve, inform and inspire female athletes and fans.